This paper examines the vertical integration level of environmentally sustainable and non-sustainable companies. The first part develops the theoretical foundation for linking sustainability strategies to organizational structure. The second part empirically examines the vertical integration level of 144 sustainability-focused companies in 9 different industries. The results demonstrate that sustainability-focused companies in the Health Care Industry and the Industrials Industry tend to have more vertically integrated organizational structures than their industry competitors that are not pursuing such a strategy since these two industries are production oriented and they have closer relationships with their suppliers. There was no significant difference in the vertical integration level of sustainability-focused versus non-sustainability-focused companies for the other seven industries studied. Research shows the linkage between environmental strategies and vertical integration has not been thoroughly examined. This study’s results are useful to researchers and managers who are interested in corporate sustainability behavior. This study contributes to our understanding of the relationship between supply chain structure and the pursuit of sustainability-focused corporate strategies. A company’s strategic plan provides guidance for the decisions it makes regarding its products, processes, and its supply chain. An example of a decision that is greatly influenced by company strategy is the make-buy decision. The make-buy decision is particularly critical for firms pursuing a sustainability-focused strategy because such companies require that every aspect of the supply chain have a similar focus (i.e. such firms view sustainability holistically). This requirement introduces an additional constraint that is unique to firms pursuing such a strategy. For example, while a sustainability-focused firm may want to outsource a particular product or service, if there are no sustainability-focused suppliers of the product or service they may opt to develop the capability internally. As a result, sustainability-focused companies may tend to be more vertically integrated relative to their non-sustainability-focused counterparts, particularly in the early stages of the sustainability movement life cycle when there are a limited number of suppliers committed to this strategy. In this paper, we examine this hypothesized trend toward vertical integration in make-buy decisions for sustainability-focused companies. Vertical integration may enhance performance, profitability, and market competitiveness because of better supply chain coordination. 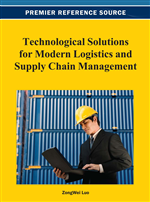 The literature indicates that an increased level of integration across the supply chain is necessary in order to pursue a sustainability-focused strategy (Hart, 1995; Russo & Fouts, 1997). However, under some industry, product, and market conditions, having a vertically-integrated organization structure is not reasonable. These conditions will be discussed in later sections. Thus, there appears to be a potential for tension for some companies that set out to pursue a sustainability-focused strategy. That is, while firm capabilities, firm culture, and industry dynamics may make outsourcing the preferred solution, there is dual pressure to vertically integrate simply as a result of the pursuit of a sustainability-focused strategy. This paper will explore this issue and determine if sustainability-focused companies tend to be more vertically integrated regardless of industry. As an empirical study, we will analyze the vertical integration level of 116 sustainability-focused companies in the United States Dow Jones Sustainability Index. Unlike previous studies that employed surveys, we use objective economic data and employ the measurement method of Fan and Lang (2000), which is a widely used and accepted index in recent literature. Fan and Lang use the sales of companies in primary and secondary industries and benchmark input-output (I-O) tables. We utilize the Compustat database to collect the sales information of companies. The Bureau of Economic Analysis (BEA) publishes the input-output tables every five years. We use the 2002 I-O table, which is the most recently published table at the six digit NAICS code level. Following Fan and Lang (2002), we also analyze the relationship between the integration level and their industry types to provide insight regarding the make-buy decision for sustainability-focused companies versus their counterparts pursuing other strategies. The rest of the paper is organized as follows. Background section provides information on vertical integration, make-buy decisions, transaction cost economics, resource based view, and collaboration in sustainability-focused-organizational structures. The methodology of Fan and Lang (2000) section will provide some literature review for the measurement of vertical integration. We will document the sample and data sources; implement our vertical integration measure after methodology. Results section presents the main analysis. Discussion section explains the results and, finally, last section concludes.